MarketHouse links small farms and fisheries to consumers throughout the U.S.
Minneapolis – Midwest meat wholesaler Market House (www.markethouse.com) today announced the launch of its new next-day delivery service, bringing farm-raised beef, berkshire pork and sustainable seafood to home cooks across the U.S. Backed by James Beard Award-winning chef Tim Mckee and Sovereign & Co. president and founder Chris Mettler, Market House partners with small farms and fisheries to make high-quality products more accessible to the everyday consumer. 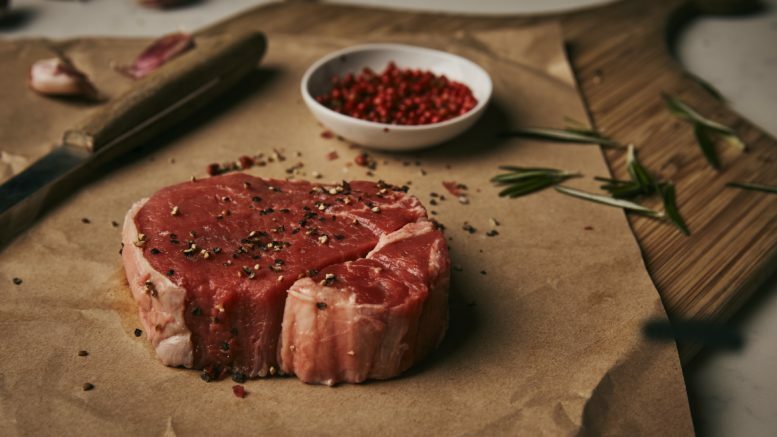 Frustrated with the poor standards of store-bought meat and inhumane practices within the industry, the company’s founders set out to create a modern marketplace that rivals your neighborhood butcher and ships free overnight. Shoppers can choose from USDA Prime and 100% grass-fed beef, Berkshire pork, hormone-free poultry and wild-caught seafood. Most offerings are nut-free, gluten-free, dairy-free and suitable for a range of dietary lifestyles, including Paleo-friendly, ketogenic diets. For dinner parties, date nights and tailgates, Market House offers an assortment of chef-curated packs, including the Starter Kit Experience, packed with 40 oz. of thick cut bacon, filet mignon, New York strip steaks and burger patties. All products are hand-cut, vacuum-seal and flash-frozen to ensure the best possible quality and flavor upon arrival. Home cooks seeking inspiration can visit Market House’s website for tastefully curated recipes and cooking tips from Chef Tim Mckee. Market House is a modern marketplace founded by friends who share a passion for quality meats and seafood. Based in the Midwest, the company works with small family farms and fisheries to bring premium, sustainably-sourced cuts and catches to consumers’ doors with free next-day delivery. All Market House offerings are responsibly sourced, non-GMO, certified organic and cruelty-free. Home cooks can choose between USDA Prime and grass-fed beef, Heritage pork, hormone-free poultry and wild-caught seafood curated by James Beard Award-winning chef, Tim Mckee. To learn more about Market House or place an order, please visit www.markethouse.com. 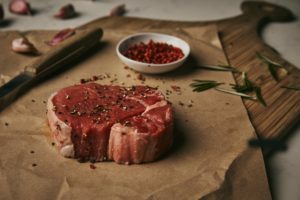 Be the first to comment on "New Online Butcher Dishes Out Premium Steaks, Wild-Caught Seafood Overnight"